If the last few days have been anything to go by… We’re in for a hot summer. 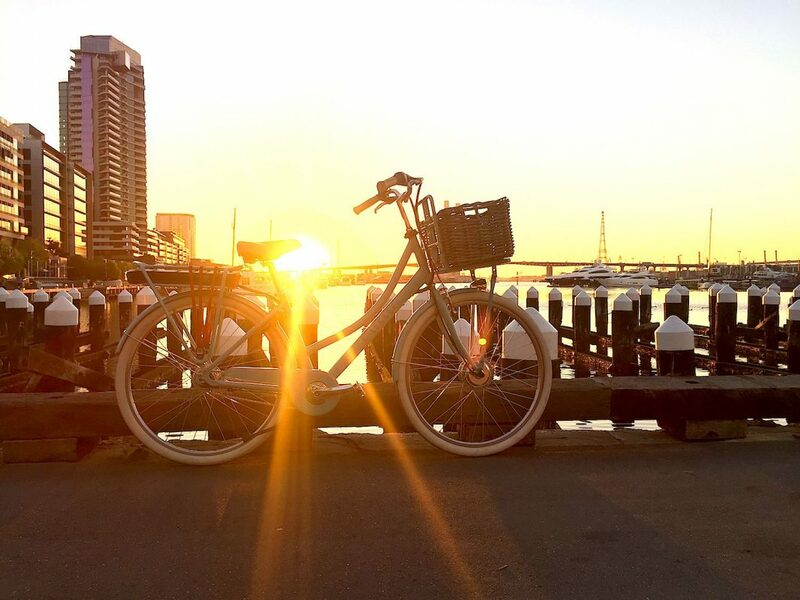 Although Lekker Bikes was born on the cold canals of Amsterdam, we were raised on the balmy beaches and backstreets of Sydney and Melbourne, so are well-accustomed to heatwaves in the Australian sun. Whether cycling to work or in a highway peloton, you very quickly notice that it’s important to be aware of the considerations of riding in the heat. This guide is here to take away the guesswork and get you out there, enjoying yourself on your commuter bicycle. So here are a few simple (but easily forgotten once the fun begins!) reminders for those committing to the coming summer commute: Stay comfortable. Adjust your saddle and grip angle for maximum comfort to ensure you don’t waste any energy. Eat and stay hydrated. Time flies when you’re having fun so try to remember to eat regularly and drink water frequently. Dress for the weather. Avoid steamsuits if you want to let the breeze cool you down but remember to protect yourself against UV. Wear sunscreen. Avoid adding any burning memories to your lovely sun-drenched cycle adventures. Listen to your new bike. Your bicycle has just been built, which means it needs time to settle. Brake line housings, bolts and bearings are all finding the best way to work together and there may be a few light pops, pangs and squeaks as they do that. In the occasion that there are recurring issues or if anything doesn’t feel right, get in touch with your retailer. It is important to Monitor and adjust your tyre pressure during hot weather. Excessive heat can cause rubber bike tubes to soften and expand, allowing air to escape, so make sure you check your tyres and top the air up regularly. Among other things, keeping your tyres pumped reduces uneven wear so it doesn’t hurt to put tyre pressure on your regular checklist as well as during hot weather. Although these sounds are expected, these parts settling will mean you should definitely take advantage of the Lekker First Free Service. After 5-6 weeks of riding your new bicycle, every owner is invited to bring their bicycle in to our Sydney or Melbourne workshop for a free tuneup and let our staff make any necessary adjustments, tighten everything up, check your brakes and give it a once over. Your bike will feel like it’s brand new again and be set up for a summer of cycling bliss. To get the best out of your vintage, cruiser or commuter bike, make sure to Clean it thoroughly at least once a year. The beginning of summer is an excellent time for a deep clean and general service because it gives your mechanic an opportunity to switch to a dry or ceramic chain lube that won’t attract dust and grit like grease or other wet lubricants can. The secondary (but no less important!) reason is to give your bike some summer shine before it hits the streets this season. Cleaning dirt from the frame will prolong the lifespan of your bike’s paint job and, ultimately… Keep your bike looking lekker for longer! So this summer, look after your bike, look after yourself and send a smile and a wave to your fellow commuters whether they’re walking, riding or driving. Stay cool and have fun out there! Also for more maintenance and assembly tips & tricks have a look at our brand new Assembly page (simply click).